Looking for ways to get in the holiday spirit with your kids? Want to find ways to keep your kids occupied even in the cold weather? The holiday season is always fun for crafting. 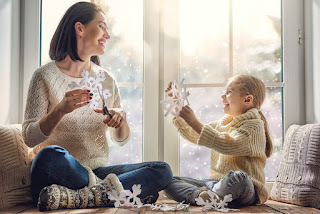 Your kids can help you make decorations for home, and you can put together gifts for family members and friends that will be cherished for years. Felt Christmas Stockings – This craft is useful and fun! To get started, find some patterned or colored felt. You can get this at any craft store. Cut out a sock shape out of two pieces of felt, and staple the edges together a half inch from the sides, leaving the top open. Add a felt loop to the top corner for hanging, and get creative with decorating! 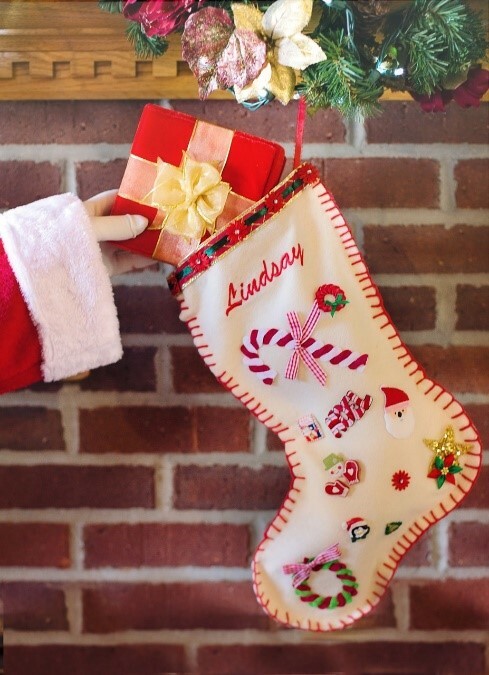 Handmade Gift Tags – If you still have felt left over from making stockings, these gift tags are a great touch! Use a cookie cutter in holiday shapes to cut out shapes on felt. Punch a hole at the top center of the tag. Use string to attach to a special gift! Paper Snowflakes – It’s not officially winter until you make paper snowflakes! There are so many online tools that teach you different folding tricks. Once you’ve got a bunch cut out, you can string them up to hang on your Christmas tree, the mantel, or over a doorway. Sugar Christmas Cookies – Use store-bought or from-scratch sugar cookie dough and roll out with flour. Have your kids use holiday shape cookie cutters to cut out cookies, and then bake. When cooled, let your kids decorate. Use sprinkles, frosting, and even candy cane pieces. Getting your children involved in the holidays is fun, and can help teach them about giving gifts instead of receiving. Make sure you supervise your kids as they put together their creations, and you’ll also create memories that will last a lifetime!